Compared to shell and tube heat exchangers, plate heat exchangers of similar capacity require approximately one-tenth of the floor space. Temp-Calc and Accu-Therm sizing tools available. Visit the Paul Mueller site—no registration required. 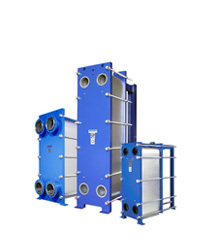 Need help deciding which type of heat exchanger best for your specific application? Visit the Paul Mueller selection here.